The East Timor and Indonesia Action Network (ETAN) and West Papua Advocacy Team (WPAT) are deeply concerned about the appointment of Dino Patti Djalal as the Indonesia’s Ambassador-designate to the United States. We urge President Obama to reject his credentials and urge Jakarta to send an Ambassador untainted by complicity with human rights violations and with greater credibility. Ambassador Djalal was a defender of the Suharto dictatorship, and his career involved him in brutal repression. While defending the Indonesian security forces in East Timor (now independent Timor-Leste), he would often attack human rights investigators and organizations. He sought to portray the violence there as civil conflict among East Timorese, rather than resulting from repression of resistance to Indonesia’s illegal and brutal occupation. The Suharto dictatorship and the Habibie government that followed promoted Djalal as Indonesia’s leading “expert” on East Timor. During that time, Djalal reportedly had close links with the Indonesian army’s intelligence agency. In 1999, during and after East Timor’s historic UN-organized vote on independence, Djalal was based in East Timor as the spokesperson for the Satgas P3TT (the Indonesian “Task Force for Popular Consultation in East Timor”). In that capacity he took the lead in the Task Force’s political initiatives. As Task Force spokesman, Djalal quickly emerged as its leading political heavyweight, taking the lead in leveling false accusations against UNAMET (UN Assistance Mission for East Timor). In his official capacity Djalal also served as flack for the militias created and directed by the Indonesian military to terrorize the East Timorese population in the run-up to August 1999 vote. Those militias and their Indonesian security force allies repeatedly attacked East Timorese civilians, burning villages and assaulting churches in attempt to frighten the population into voting against independence. The militias also sought to intimidate the UN teams sent to prepare for the vote and the international media and humanitarian organizations in the country to monitor the process. As international alarm over the excesses of the militias and their Indonesian military sponsors grew, Djalal played a key role in seeking to deflect criticism of the militias and the military. Djalal denied the reality that militias were arming in the run-up to the vote and sought to obscure militia and military atrocities against civilians in East Timor. 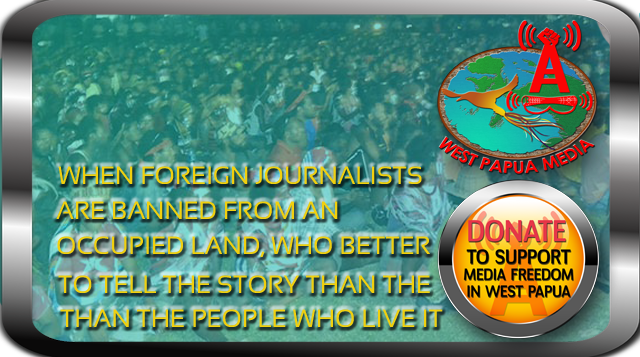 He was a dogged critic of international journalists and human right organizations who sought to report these atrocities. In the wake of East Timor’s overwhelming vote for independence, the Indonesian security forces and their militias rampaged throughout country exacting revenge for the people’s rejection of Jakarta’s rule. The militia and military attacks destroyed vital infrastructure and buildings. They targeted UN facilities and personnel, as well as international journalists, diplomats and other observers. Djalal was key in Jakarta’s unsuccessful efforts to deny the reality of the which cost the lives of approximately 1,500 East Timorese, displaced two-thirds of its population, and destroyed 75 percent of East Timor’s infrastructure. In diplomatic assignments in the U.S., Great Britain and Canada, Djalal focused on defending the role of the unreformed and abusive Indonesian military, including targeting of its foreign critics. More recently he has served as Presidential spokesperson. Ambassador Djalal’s past as an apologist for the worst behavior of the Indonesian military and its minions augers poorly for international efforts, especially in the United States, to press for justice and accountability for past human rights crimes and genuine reform of Indonesia’s security forces. As the situation in West Papua becomes increasingly tense, will Djalal serve as Indonesia’s Washington-based apologist for continued repression? In the interest of promoting strengthened U.S.-Indonesian relations based on respect for human rights, ETAN and WPAT believe that the U.S. government should not accept Djalal’s credentials as Indonesia’s Ambassador to the United States.